Display case suitable for OO Gauge Model Locomotives. Internal Dimensions: 34cm long x 7.6cm deep x 9.5cm high. Supplied with precision cut MDF base. 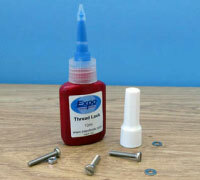 1) Parts are to be clean, dry and grease free. 2) Apply product to the area to be locked. Product will fix in 20 minutes. Usable cure strength in 3 hours. Pack contains 8 brass 6BA chees head bolts and 8 nuts. 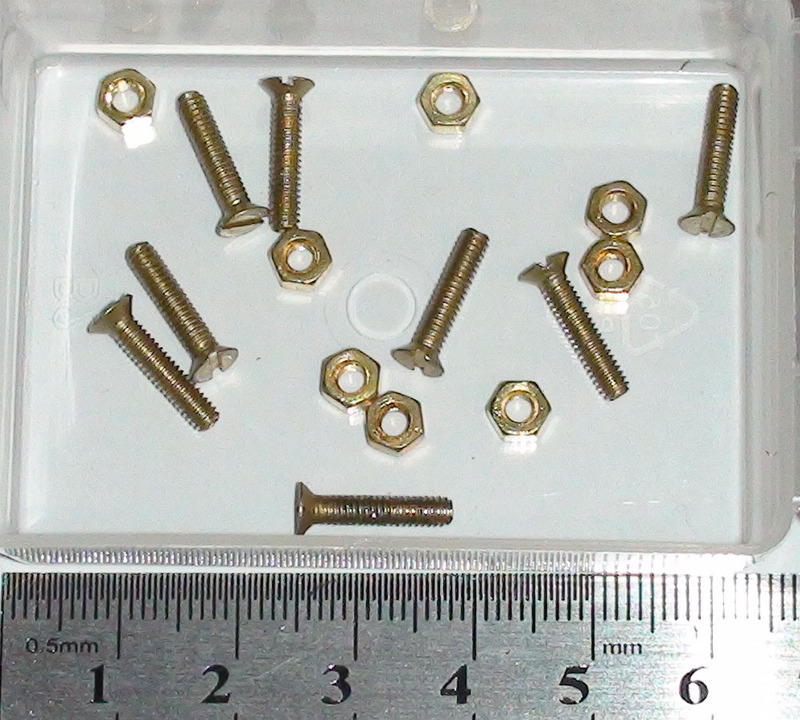 Bolts are 12.7mm (1/2") Long. 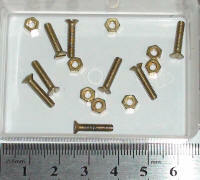 Pack contains 8 brass 6BA countersunk bolts and 8 nuts. 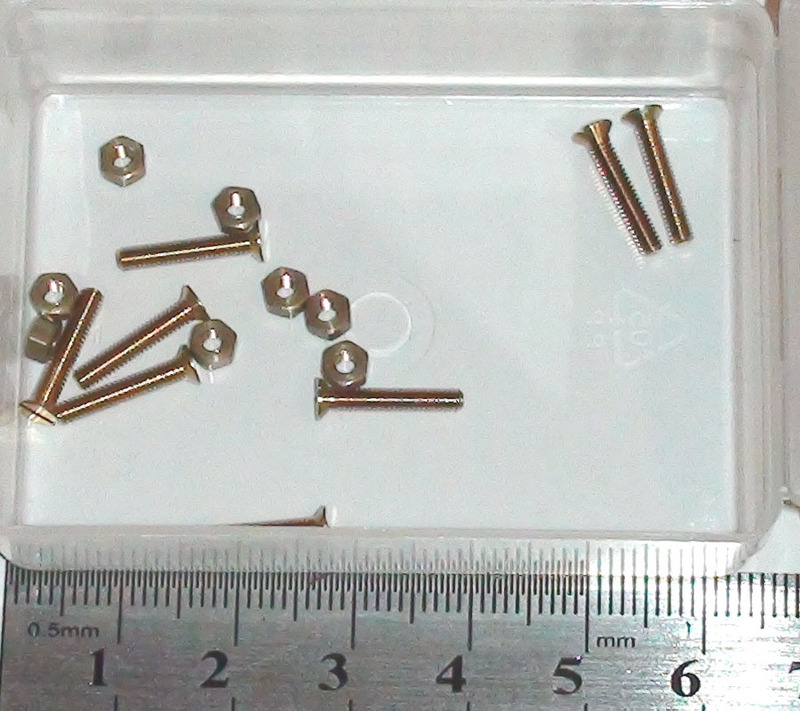 Bolts are 12.7mm (1/2") Long. 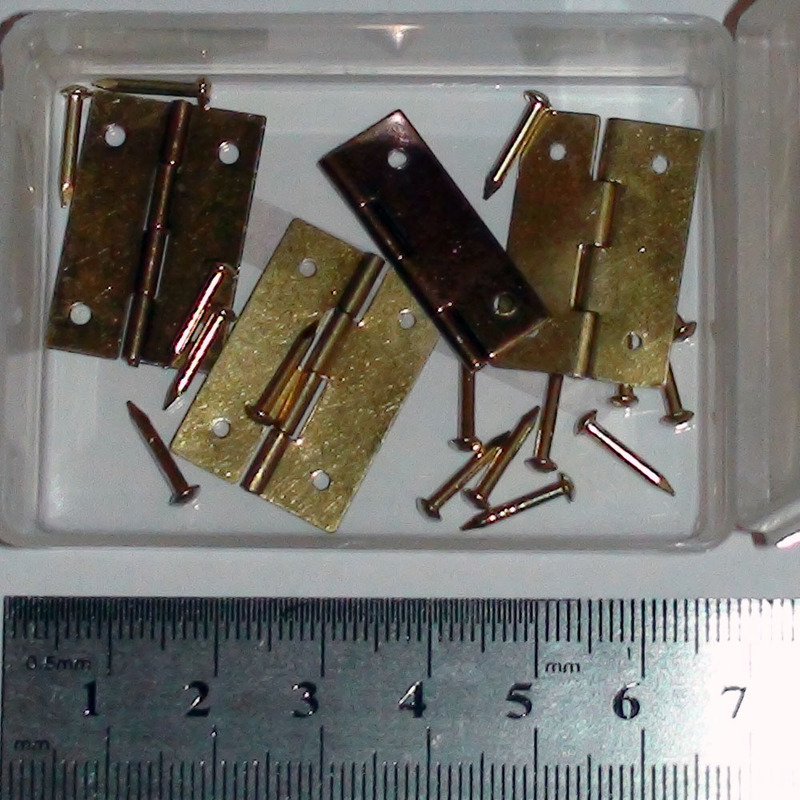 Pack contains 8 brass 8BA cheese head bolts and 8 nuts. Bolts are 12.7mm (1/2") Long. Pack contains 8 brass 8BA countersunk bolts and 8 nuts. Bolts are 12.7mm (1/2") Long. 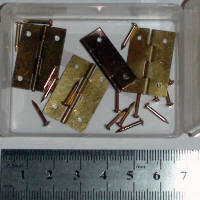 Pack contains 8 brass 10BA cheese head bolts and 8 nuts. Bolts are 12.7mm (1/2") Long. 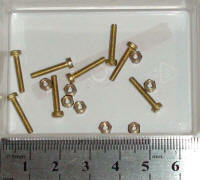 Pack contains 8 brass 10BA countersunk bolts and 8 nuts. 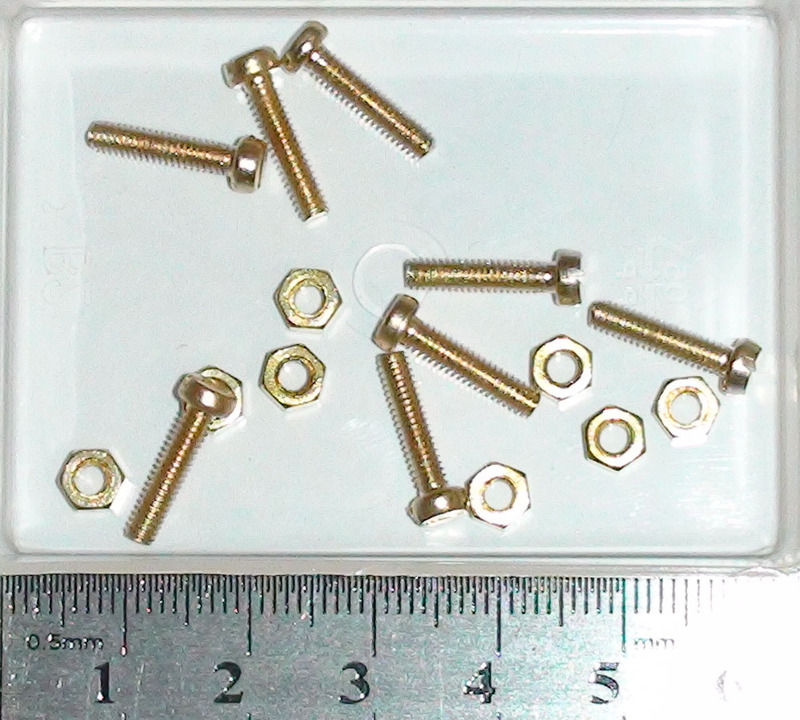 Bolts are 12.7mm (1/20") Long. 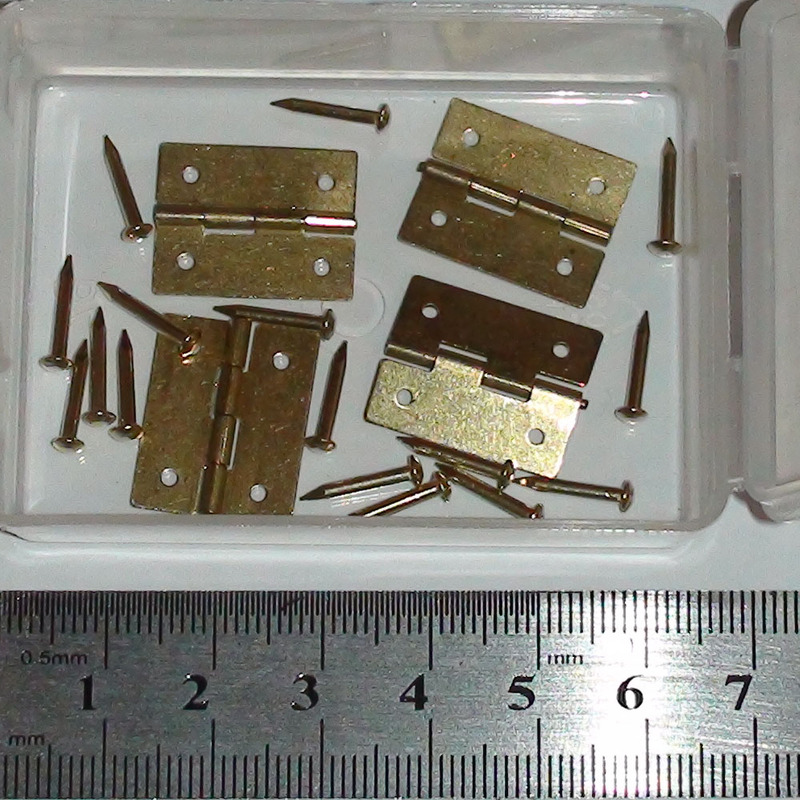 Pack contains 8 brass 12BA cheese head bolts and 8 nuts. Bolts are 12.7mm (1/2") Long. 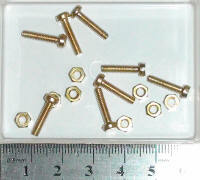 Pack contains 8 brass 12BA countersunk bolts and 8 nuts. Bolts are 12.7mm (1/20") Long. 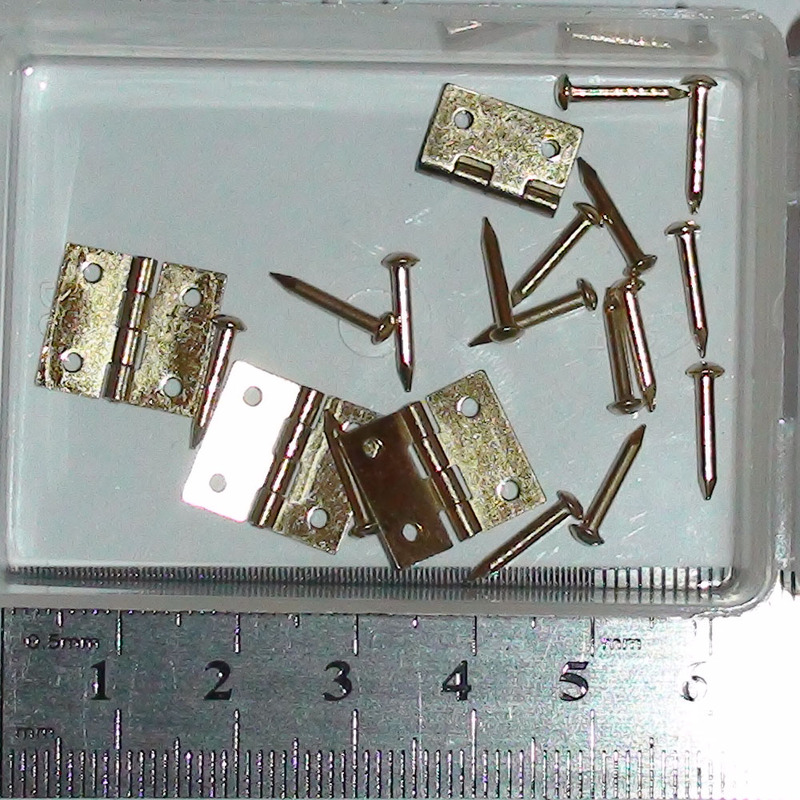 Pack contains 8 brass 14BA cheese head bolts and 8 nuts. 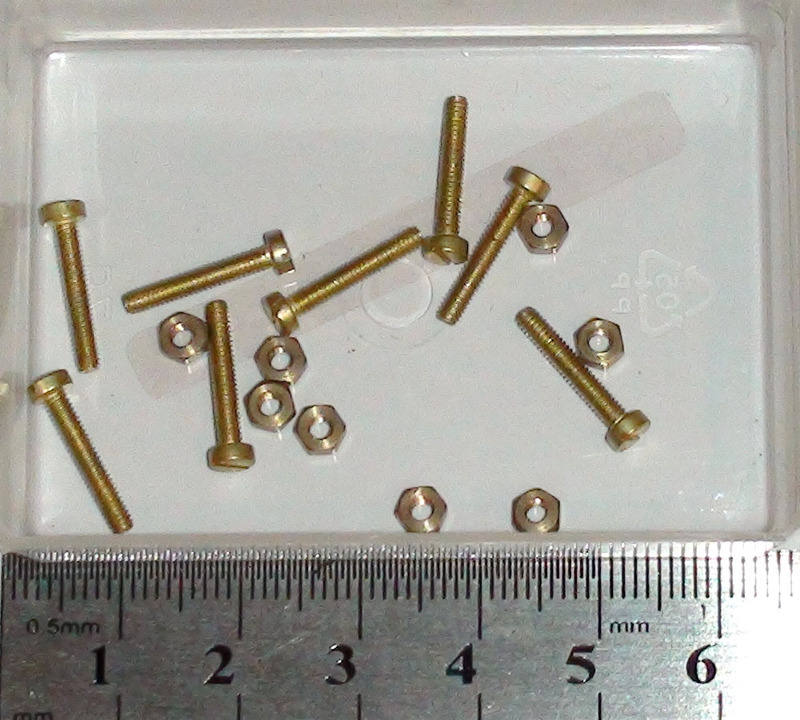 Bolts are 12.7mm (1/2") Long. 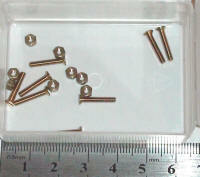 Pack contains 8 brass 14BA countersunk bolts and 8 nuts. Bolts are 12.7mm (1/20") Long. 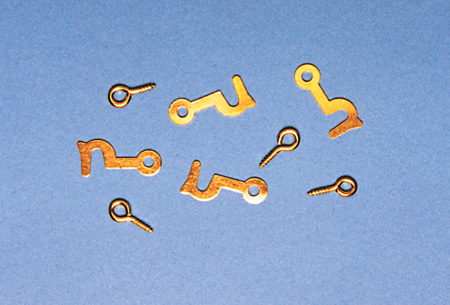 Pack contains four miniature brass hinges and brass fixing pins. 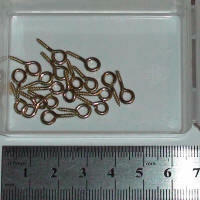 Pack contains four brass screw eyes and hooks. 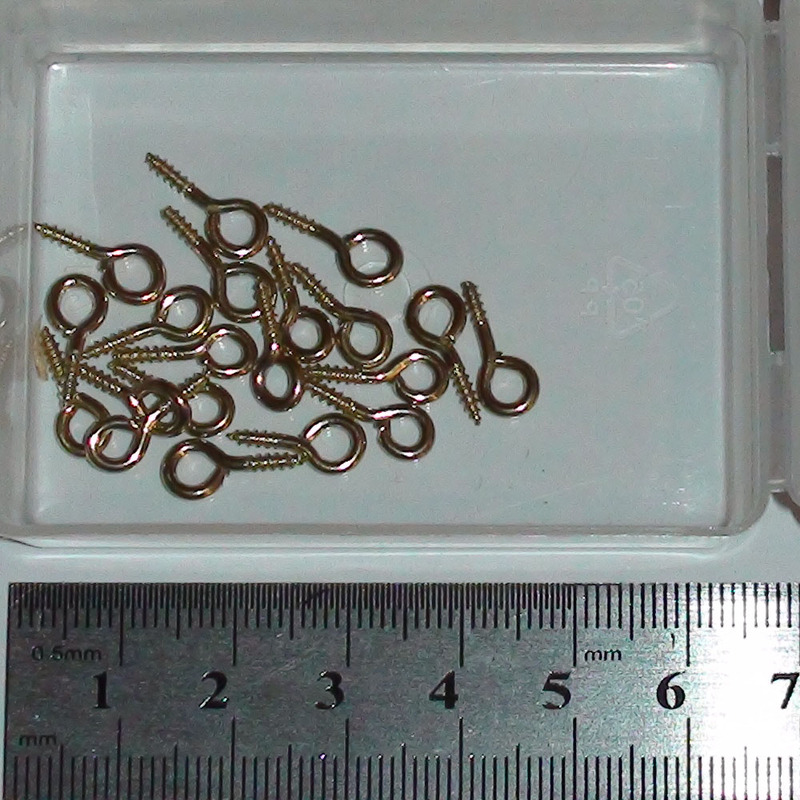 Pack contains 20 brass screw eyes. 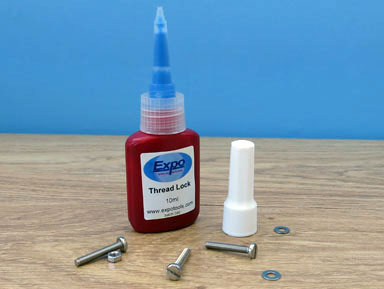 Pack contains 3m of 0.6mm diameter Steal / Brass / Copper Wire wire.